After a short inquiry into the UK’s acquisition of Lockheed Martin F-35B Lightning II stealth fighters, a watchdog body of the British Parliament has issued a detailed and critical report. The House of Commons Defence Committee (HCDC) said it was disappointed by the responses it obtained in written and oral testimony from Lockheed Martin and UK Ministry of Defence (MoD) officials. 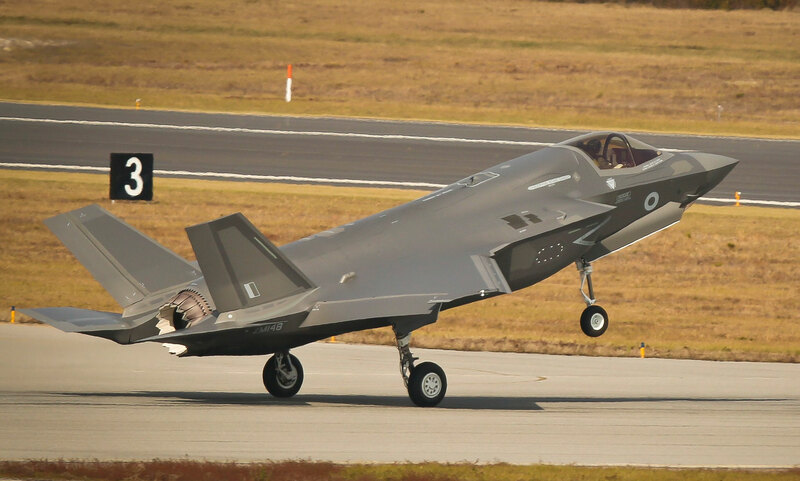 The HCDC report was published just days before the 14th F-35B for the UK was delivered to MCAS Beaufort, South Carolina, where the first operational British squadron is working up. The HCDC’s inquiry was prompted by serious program failings and cost escalations that were alleged by The Times daily national newspaper last July. The newspaper repeated the F-35 shortcomings that have been reported in public U.S. documents such as Director of Operational Test and Evaluation (DOT&E) and Government Accountability Office (GAO) reports. But it also quoted British defense sources, some anonymously, on UK-specific issues, notably an alleged failure to provide adequate and secure communications from the F-35 to its host British QEII-class aircraft carriers, and to the Eurofighter Typhoon, the Royal Air Force’s front-line fighter aircraft. The HCDC said that overall, its concerns “were not alleviated” by Lockheed Martin and the MoD. The committee said that “the MoD’s failure to provide adequate cost estimates for its procurement of the F-35…is wholly unsatisfactory.” It said that “the broadband capacity on the QEII carriers will need to be beyond the reported limit of 8 megabits, and, in all likelihood, in excess of the 32 megabits currently available on the USS America, if the potential benefits of the F-35 to the UK’s future carrier strike capabilities are to be realized.” It recommended that the MoD ensure that an airborne gateway translation node is funded, so that the F-35 can pass information from its secure but discrete Multifunctional Advanced DataLink (MADL) to the Typhoons, and to the carriers. However, the committee’s report did concede that “the assurances about the rigorous level of cyber-testing of the F-35’s Autonomic Logistics Information System (ALIS) software are welcome, as is the assurance that the UK will have complete and unfettered use of the software for the sovereign operation of our F-35 fleet.” But, it added, “we ask for greater clarity from Lockheed Martin on the level of protection in place for the technical data gathered by ALIS in relation to the UK’s F-35 fleet, including whether this data falls within the U.S. Government’s 'unlimited rights license'." The UK will receive another three F-35Bs at Beaufort next year, and one more—its 18th in total—in early 2019. Nine of these jets will fly to the UK next summer so that No. 617 Squadron can begin flying trials on the QEII in the third quarter, and achieve initial operating capability (IOC) in the land-based role by December 2018. The IOC for carrier-based operations is due by December 2020. The UK keeps three test and evaluation F-35Bs at Edwards AFB, where they will remain. To date, the UK has bought only 18 F-35Bs. However, in January 2017 the MoD made budgetary provision for another 30 jets for delivery from 2020 to 2025. The provision was for £3 billion including initial support, which works out at nearly $134 million per aircraft at today’s exchange rate. The first 18 aircraft for the UK appear to have cost more than £150 million ($200 million) each. In its testimony to the HCDC, the MoD maintained its assertion that the UK will eventually buy 138 F-35s. Most independent observers regard this as highly unlikely. Next month, the MoD is due to reveal another round of personnel and equipment cuts, just 26 months after a Strategic Defence and Security Review (SDSR) set a budget that was supposed to last five years. Beyond 2025, the UK could save on both acquisition and operating costs by buying conventional takeoff-and-landing (CTOL) F-35A versions instead. This has long been the desire of the Royal Air Force, because of the greater range and weapons load of the F-35A compared with the F-35B. Lockheed Martin has promised to reduce the unit recurring flyaway cost (URFC) of the F-35A to about $80 million in current dollars.